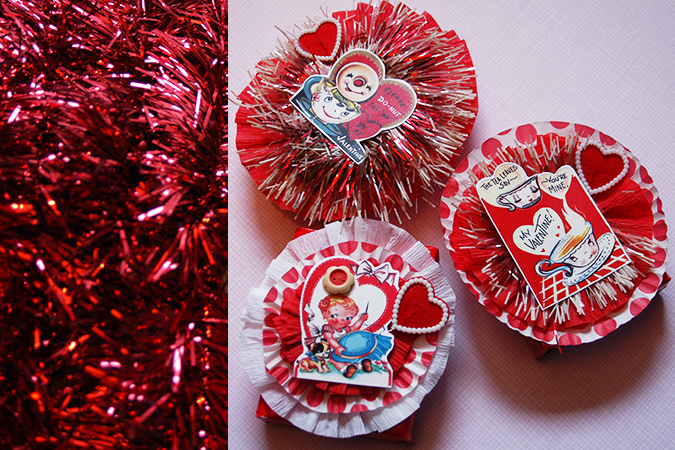 Tagged DIY, food, holiday, valentine, vintage. Bookmark the permalink. What a sweet gift. Any friend would like that. Thanks Rachel, Happy early Valentine’s day! Wow! Now that is an adorable Valentine gift! I love how you decorated these. Your style is exactly what I love. 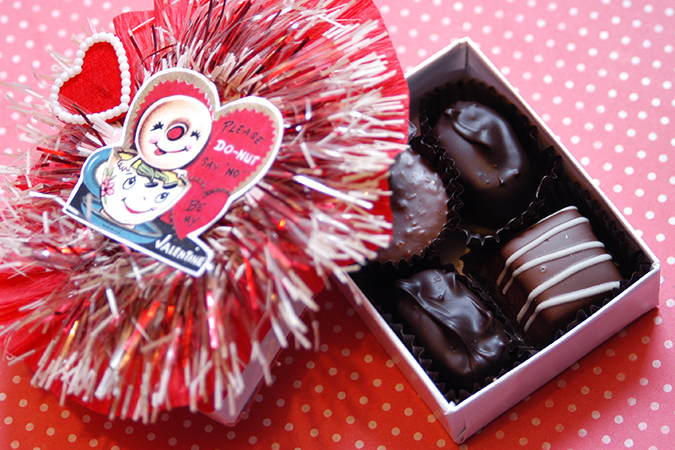 I just love how the old Valentines said stuff like “please do-nut say no”…so classic! These are so gorgeous! I am going to make them for my class. They should do wonders to cheer up a bunch of stressed human rights law students. 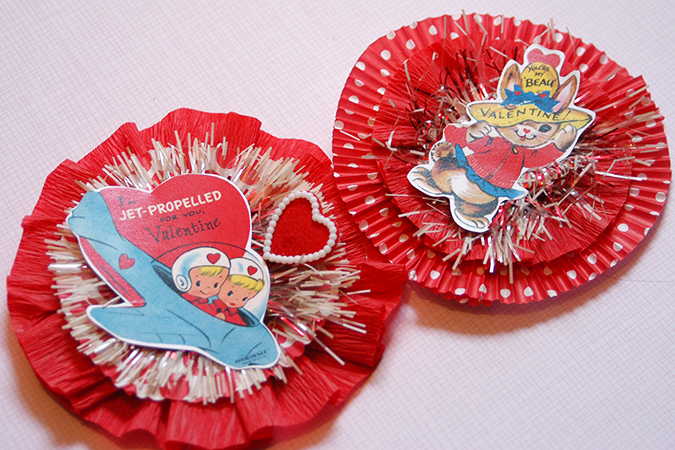 Ain’t nothing like a some vintage valentine’s cards to show some love! Too cute! 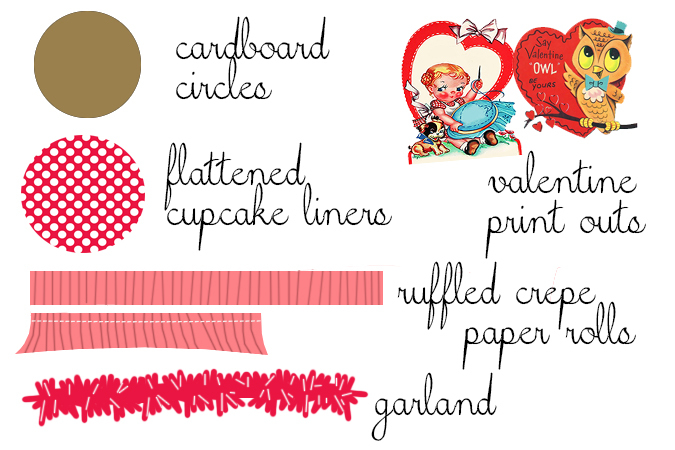 Love that red and white garland. you are too sweet Heidi! thank you for sharing, can’t wait to make some. 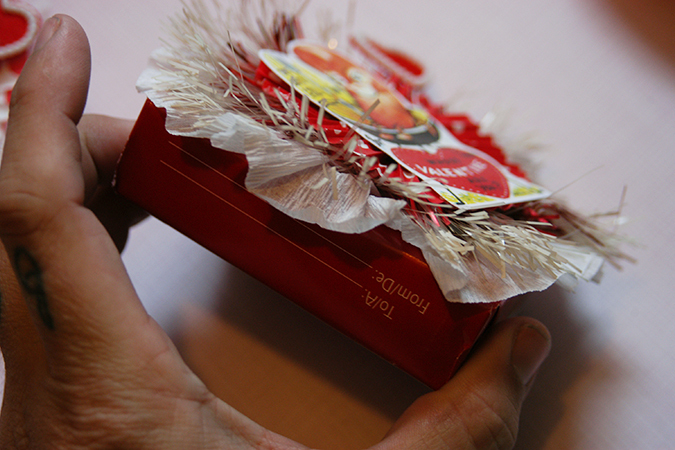 Brid, aww thats a great idea-hope they love them! Persephone, that was a thrift shop find, I wish I had tons of it–its my favorite! 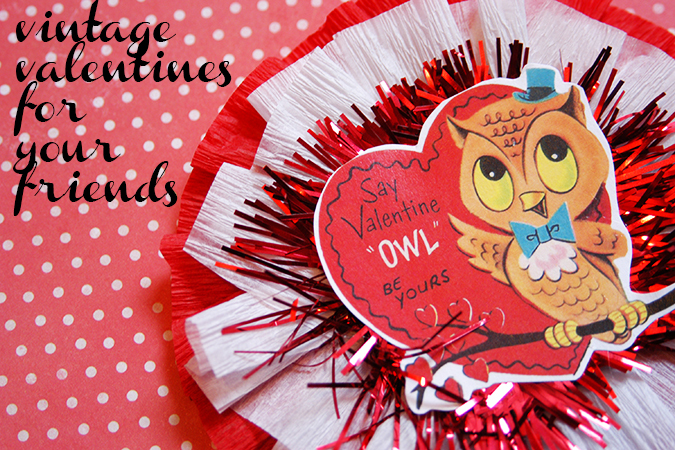 I love these vintage Valentine’s! What a sweet gift!